This titanium domeless nail is used for vaporizing your oil. 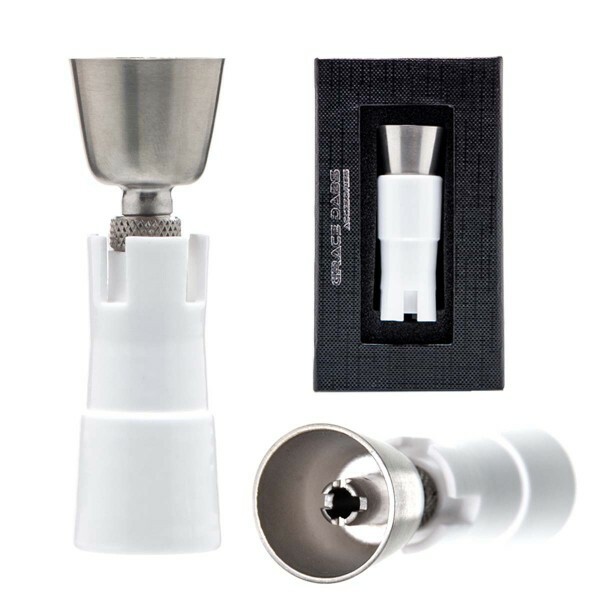 It comes with a 18.8mm and 14.5mm socket , fitting any compatible bong or bubbler joint. It is attached to a ceramic connector.